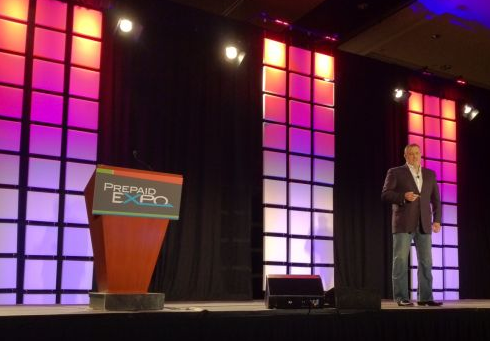 Jeffrey Hayzlett, former Chief Marketing Officer & Vice President, EASTMAN KODAK, Best Selling author, “The Mirror Test" and "Running Gauntlet" presented the Prepaid Expo 2012 branding Keynote today. He talked about adapting or dying and what happened at Kodak: They didn't change. They wanted to protect the profit margins of products that were doing well and in that process just stagnated. They forgot they made emotional technology, they forgot to drive change. Clock changers: Actually changes the clocks that everyone else complains about being off. Problem solvers. Cheerleaders who reinforce goals, who seamless operate between departments and divisions. Don't forget your customers own your brand, you are just the shepherd.